Find out what makes plant life truly amazing and see first hand how plants adapt to survive in a variety of geological locations and habitats. How does the geographical locations of certain habitats influence plant types? How are trees made into lumber? Is sap basically a plant's blood? What makes a certain plant a succulent? All of these questions and more are answered in this impressive video collection of ten clips. 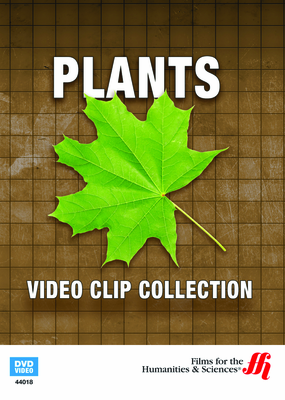 The program answers common questions about plant life, with colorful image slides and animated graphics and a clear and concise way to explore the life cycle of plants. Video clips include: • Classification of Plants • Trees •Food Plants • Reproduction of Flowering Plants • Plant Formations • The Anatomy of Flowering Plants • Sap • Plant Growth Succulent and Aquatic Plants • The Wood Industry • and more!